Easy Chocolate Mousse… decadent and rich! You won’t believe it uses only 3 ingredients and goes from cupboard to table in less than a minute. I love a good chocolate dessert and this Chocolate Mousse is decadent and rich and light all at the same time! This easy version takes a shortcut to make a completely effortless rich and fluffy chocolate mousse. A classic chocolate mousse needs to cook and cool and set and whip. While there’s nothing quite like a true chocolate mousse from scratch, sometimes you just need a quick and totally effortless dessert. That’s what this is. Three ingredients. One minute. Done. A chocolate mousse from scratch is usually made from egg whites and/or heavy cream with a flavoring. 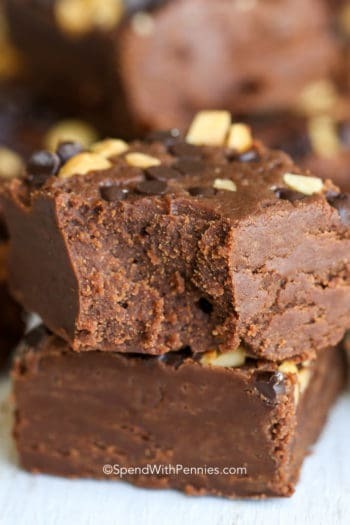 It’s beaten until light and fluffy and flavored, often with chocolate (but it can be savory too). 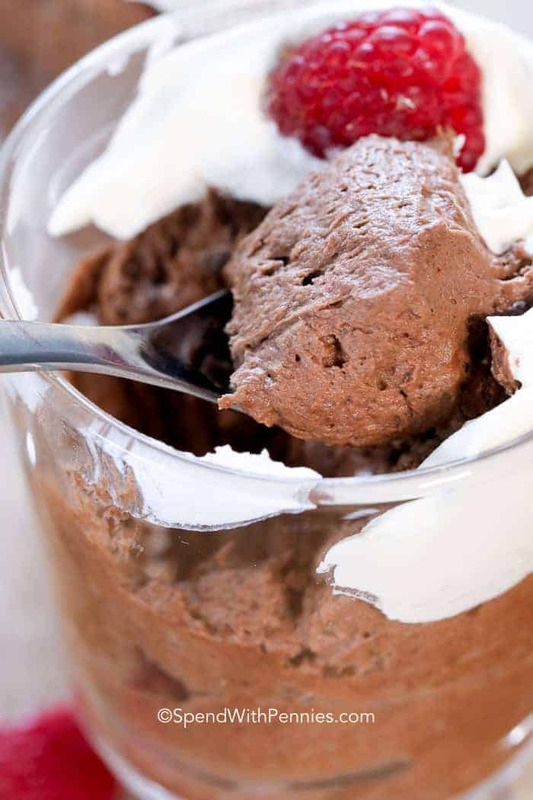 This easy chocolate mousse takes just one minute to make with the help of instant pudding mix. The cocoa powder adds extra flavor and give this chocolate mousse a deeper chocolate flavor. When making this quick chocolate mousse recipe, you’ll want to make sure you don’t over beat the whipped cream or it will thicken too much. It thickens very quickly so you’ll keep an eye on it. I usually have pretty glasses or jars ready to go and pipe it into the glasses using a freezer bag. Of course you can just spoon it into a bowl if you’d prefer! To make this simple dessert look pretty, I top it with a bit of whipped cream or whipped topping and either a raspberry or strawberry. If I happen to have a chocolate bar on hand, I sometimes use a cheese grater to grate the chocolate overtop as well. It looks so nice! 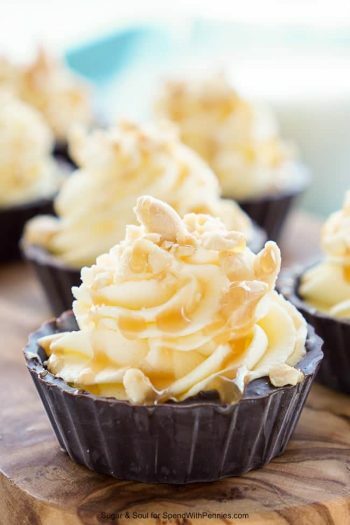 No Bake Cheesecake Parfaits! – Add fresh fruit!! How Long Can You Keep Chocolate Mousse in the Fridge? If your jars are covered, this dessert should last about 3-4 days in the fridge. I would add any whipped cream or whipped topping the day of serving. 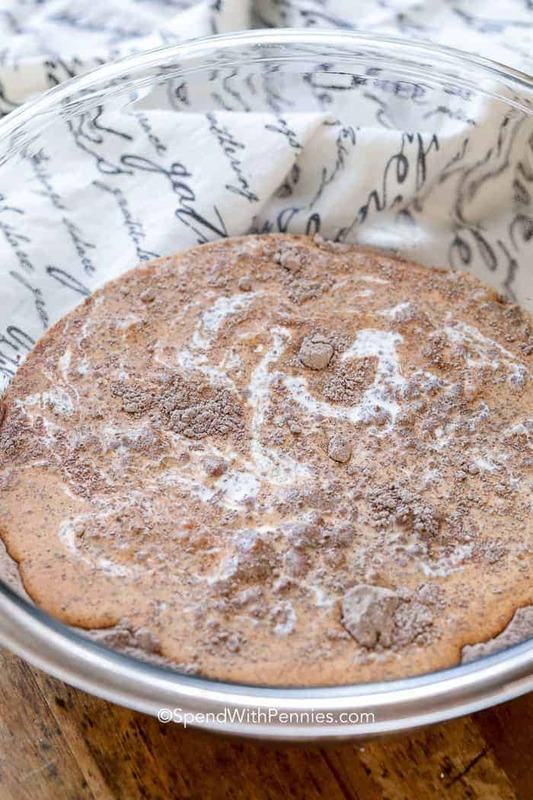 This easy recipe can also be used as a cake filling! To create a cake filling, reduce the heavy cream to 2 cups and follow the rest of the recipe as directed. It’s so easy and you can substitute the flavors of pudding based on the cake you’re making! 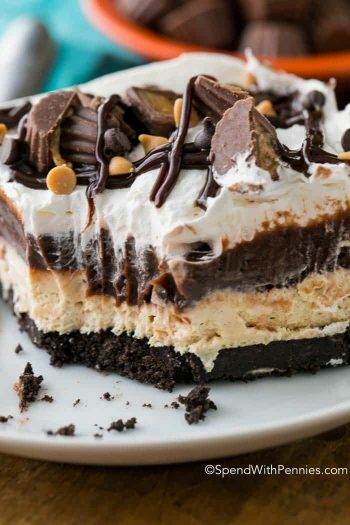 Your guests will be completely impressed by this dessert… shh… don’t tell them how easy it was! A rich creamy chocolate dessert that takes just a couple of minutes to prepare! 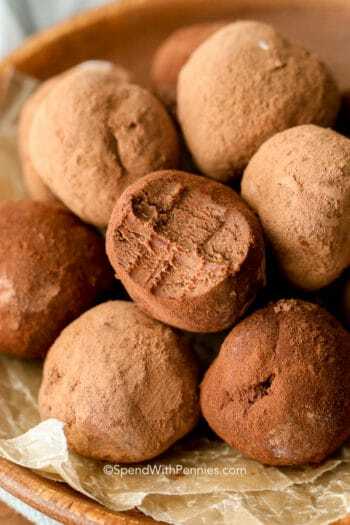 Combine cocoa powder and instant pudding powder in a bowl. Add whipping cream and mix with an electric mixer on medium high for 1 minute. Pour into serving dishes immediately and serve or refrigerate. 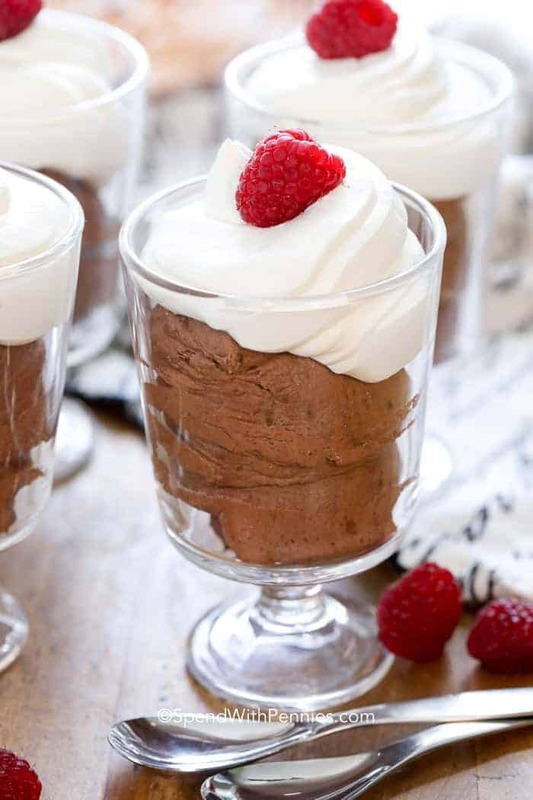 Garnish your mousse with whipped topping, fresh berries, mint or whipped cream! 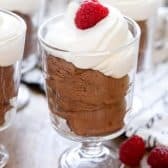 Easy 3 Ingredient Chocolate Mousse! How much does this make ? I need to make 50 – 3 ounce cups of mousse. Double it? Triple? Each recipe will make approximately 5 cups of mousse, depending on how your whipping cream whips up. That’s approximately 4 times the recipe. Hope that helps! Great info!! I was looking for this as I am making 125 2 ounce servings!! Its look so yummy, definitely I gonna try this what kind of jello should i use for small kids ? 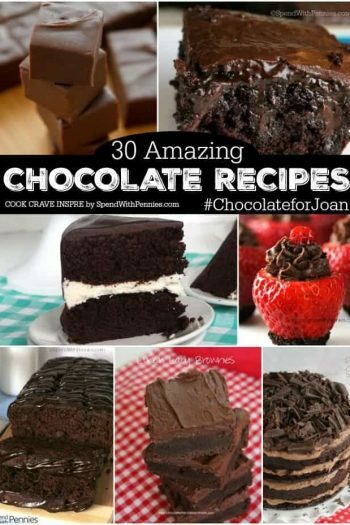 You should use 1 box instant chocolate pudding mix 4 serving size. Enjoy Judith! Going to make this for my grandson, he will live it. An easy dessert. Thanks. Silly question, maybe, but — should it be Jello Instant *Chocolate* Pudding?? Oh yes, sorry about that! I’ve updated the recipe. :) Enjoy! This is instant Jello right?